Engine derivatives have not been confirmed for South Africa. 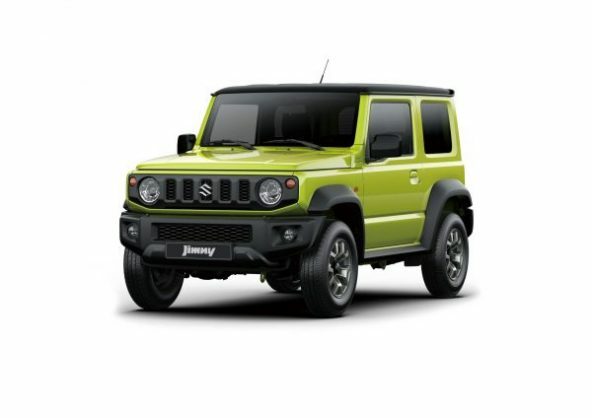 The current generation of the Suzuki Jimny has been on the market for around 20 years. And, finally, the car maker has decided to introduce the fourth generation of this popular model. It should be in South Africa before the end of the year. According to the information and photos we have managed to lay our hands on, the Suzuki will keep its distinctive appearance with a slightly squarer form and subtle styling modifications. The interior will also be in keeping with its unique and not-so-typical design but will be improved with better materials and new tech features. Engine derivatives have not been confirmed for South Africa, but an educated guess could see a 1.3-litre four-cylinder doing duty with a five-speed manual automatic transmission. However, it could also be available with a four-speed automatic. As for the drivetrain, the allwheel drive configuration will be standard. There might be an outside chance that a 1.0-litre three-cylinder BoosterJet powertrain could make its way here. But I doubt it. The Suzuki Jimny will arrive much lighter than the current model, with a reduction of close on 115kg thanks to the use of lightweight materials such as aluminium and carbon fibre. And this will translate into better fuel economy and handling. From a styling point of view, the front will be dominated by a grille with five vertical slats. It is now black which makes a nice contrast to the rest of the body. Furthermore, you will also see rounded headlamps instead of the square ones found in its predecessor. The rear will most likely get new tail lights and the Jimny should ride on five-spoke 18-inch alloy wheels. On the inside, the rugged design theme will continue. The cabin looks to be simple but it will be upgraded with better-quality materials and equipment. The central console will feature a larger display with infotainment system. More information on this giant killing, go anywhere, compact SUV will be made available closer to launch.